One million black soldiers served America during World War II. Not one of them received the Medal of Honor. The sky was thick with smoke and haze on the morning of June 6, 1944, when an explosion rocked a boat packed tight with American troops within sight of Omaha Beach. Wedged among the five dozen men was a 21-year-old pre-med student from West Philadelphia named Waverly Bernard Woodson, Jr. He was one of five medics assigned to the 320th Barrage Balloon Battalion, the only African-American combat to participate in the Normandy landings. The U.S. Army was segregated during World War II, meaning the 320th was all black except for the top officers, who were white. Moments before a shell hit Woodson’s landing craft, a mine had knocked out the engine. The second blast felled troops like matchsticks. Shrapnel killed the man beside Woodson, whose own extremities burned. He reached down and brought up a hand covered in blood. “I am dying,” he thought. A fellow medic slapped dressings on his buttocks and thigh as the helpless craft drifted to a stop. For the next 30 hours, Woodson worked through his pain to save lives. An Army news release credits him with treating 200 men. Other accounts put that figure higher. He pulled the drowning to safety. He patched wounds, pulled out bullets and dispensed blood plasma. He amputated a right foot. When he thought he could do no more, he resuscitated four drowning men. Then he collapsed. 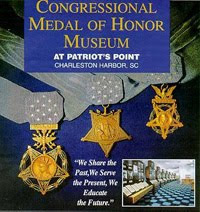 Woodson was nominated for the Medal of Honor, the nation’s ultimate symbol of heroism. He never got it. Instead, the medic was given the Bronze Star, the fourth-highest award for bravery. It would be another half century until an African American received the Medal of Honor for his service during World War II. There was another soldier whose heroics on D-Day were strikingly similar to Woodson’s. Private Carlton William Barrett landed on Omaha Beach with the First Infantry Division under intense fire. He plunged into the surf and repeatedly dragged drowning men to safety. For his service, Barrett was awarded the Medal of Honor in October 1944. “He arose as a leader in the stress of the occasion,” his citation reads. To rate the top honor, a soldier must distinguish himself “conspicuously in actual conflict with the enemy.” Private Barrett was not a medic. He was assigned to an intelligence and reconnaissance platoon. It was not his job to save the dying. Perhaps the Army commanders who considered Woodson for the Medal of Honor decided that the medic, though wounded, was merely doing his job on June 6, 1944. Or maybe there was another reason. Their findings prompted President Bill Clinton in January 1997 to present the Medal of Honor to seven black men who served in World War II. Only one of them was still living to shake the President’s hand. “History has been made whole today,” President Clinton said. Not exactly. The researchers said they couldn’t recommend other soldiers of color whose service records were missing. Among them was Waverly Woodson. Comparatively few Army records from World War II still exist—as government archivists like to tell frustrated researchers—and the majority of records housed at the Army’s Personnel Records Center in St. Louis, Missouri, were destroyed in a 1973 fire. Yet during the five years I researched the stories of Waverly Woodson and other men from his battalion, I found an intriguing document revealing that the young man from Philly was nominated for the Medal of Honor. An unsigned note addressed to “Jonathan” says that Woodson’s commanding officer had recommended him for the Distinguished Service Cross, the second-highest decoration. But the writer adds that the office of U.S. Gen John C.H. 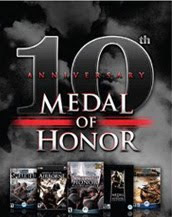 Lee in Britain believed Woodson deserved better—the Medal of Honor—and the recommendation was changed to reflect the higher award. The next part of the note betrays the toxic racial climate that existed for African Americans serving in the U.S. Army. The note was almost certainly written by Philleo Nash, an official in the Office of War Information, who maintained a prolific correspondence with Jonathan Daniels, an aide to President Franklin D. Roosevelt. A bulging file of their missives can be found at the Harry S. Truman Presidential Library in Independence, Missouri, which is where I saw it. The Army-commissioned investigators also saw the Nash note, which they concluded was “hearsay,” as one of them told me, and not proof enough of Woodson’s valor . Indeed, the bar was higher on Omaha Beach compared with other wartime battles. Only four Medals of Honor and 214 Distinguished Service Crosses were awarded for valor on D-Day. In the Navy, one African American received a high award, though not the highest. Doris “Dorie” Miller was the first hero of World War II—even before the United States officially went to war. The messman was collecting dirty laundry aboard the USS West Virginia in Pearl Harbor when the Japanese surprised the Americans on Dec. 7, 1941. After his ship was hit, Mr. Miller helped drag the mortally wounded captain off the bridge, then jumped behind an antiaircraft gun that he had never been trained to use and fired at enemy planes until he ran out of ammo. Navy regulations forbade artillery training for African Americans, yet Mr. Miller, the son of a Texas sharecropper, “was blazing away as though he had fired one all his life,” an officer said later. 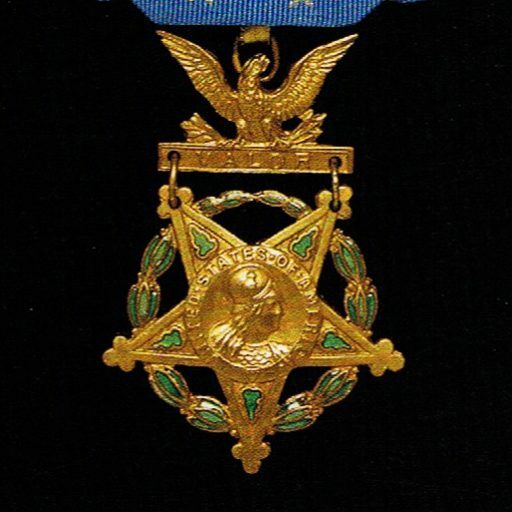 The black press campaigned for a Medal of Honor for Mr. Miller, whose rank was cook third class. He eventually received the Navy Cross, which was at that time the third-highest award (today it is the second-highest). In the case of Waverly Woodson, the record of the young medic’s heroics extended beyond Army documents. In fact, in the summer of 1944, the shy pre-med student became a star. Woodson’s story trails into June 7, 1944, when he performed one last act of bravery, saving four floundering soldiers whose guide rope broke as they were coming ashore. Then he collapsed. Woodson was taken to a hospital ship where he was treated for his injuries. Three days later, he asked to go back to the beach. 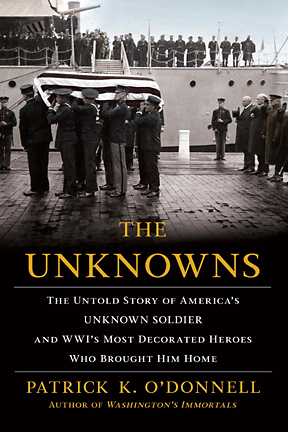 After Woodson returned home in late 1944, he was invited to recount his adventures in a nationwide radio broadcast. His proud father compiled all of the plaudits in a fat scrapbook that Waverly Woodson’s wife of 53 years, Joann, keeps close at hand in Clarksburg, Md. Waverly Woodson, who left the Army as a staff sergeant, died on August 12, 2005. His grave is at Arlington National Cemetery, where American buries its heroes. His family has started a petition drive to obtain for him the Medal of Honor. U.S. Rep. Chris Van Hollen, D-MD, has appealed to the Army to recommend Waverly Woodson for the Medal of Honor. In June 2015, President Barack Obama awarded the Medal of Honor to an African-American soldier who fought ferociously in the trenches of France during World War I. Sgt. Henry Johnson, a member of the legendary 369th Infantry Regiment—the Harlem Hellfighters—was the Waverly Woodson of his day. Johnson was lauded by reporters who covered in gripping detail his heroics on a lonely night in May 1918 when he single-handedly fought off a party of German raiders, left with only a bolo knife after his other weaponry was spent. Though he earned the nickname “Black Death” and praise from awestruck white reporters, Johnson won the French Croix de Guerre but never an American Purple Heart, which would have entitled him to disability benefits. He never healed from his battlefield injuries, and died 11 years later in poverty. Linda Hervieux is the author of Forgotten: The Untold Story of D-Day’s Black Heroes, At Home and At War (Harper). For more on Woodson’s story, go to www.lindahervieux.com. This article was originally published on June 6, 2016, in the Daily Beast and is reprinted with permission. 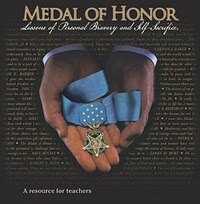 Can a Medal of Honor recipient teach anything to your kids?